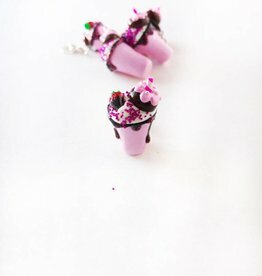 We are happy to offer progress keepers and stitch markers created by Colorado-based miniature food artist Little Bitty Delights. Each charm is meticulously created with polymer clay with an astonishing attention to detail that call to mind the real deal. With this purchase, you are supporting two female-owned businesses.